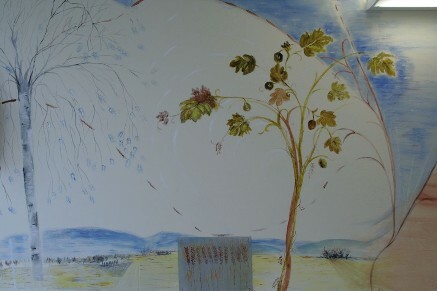 Murals in the lobby of New Department of Oncology, Hospital of Mirano, Venice - Work in progress. Technique: acrylic paint, mirror on the wall. Wall opposite at first intervention.